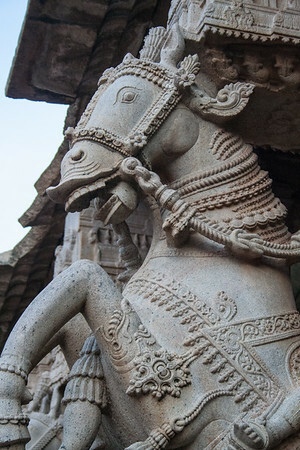 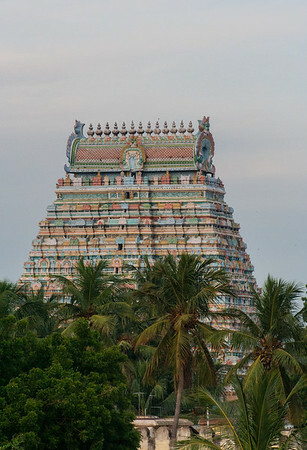 The Sri Ranganathaswamy Temple or Thiruvarangam is a Hindu temple dedicated to Ranganatha, a reclining form of Hindu deity, Vishnu. 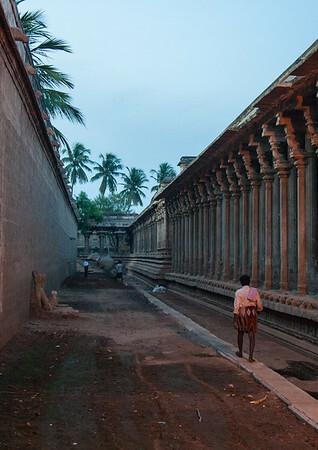 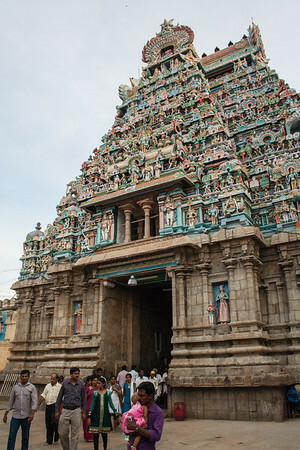 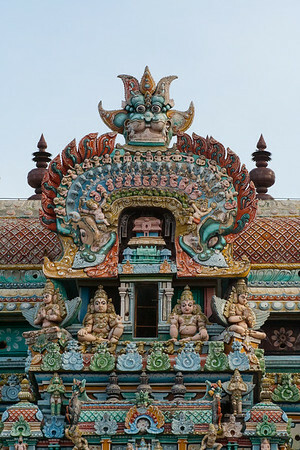 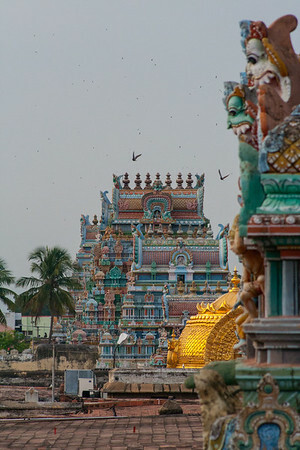 Constructed in the Dravidian style of architecture, this temple is often listed as the largest functioning Hindu temple in the world. 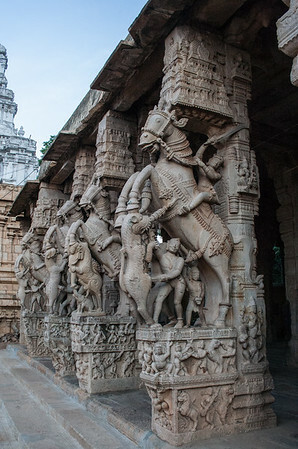 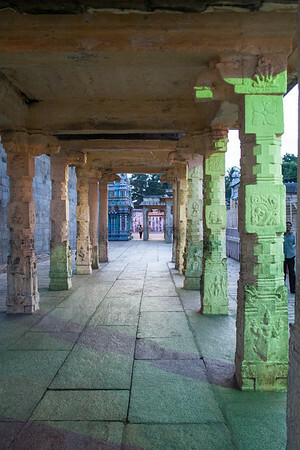 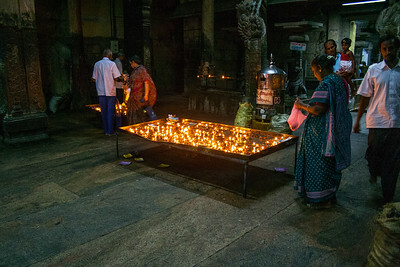 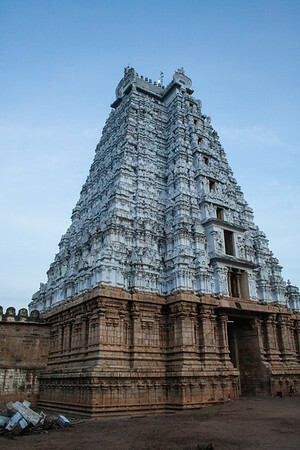 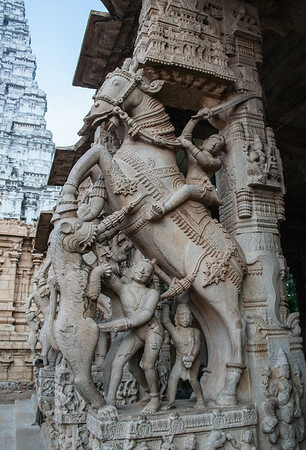 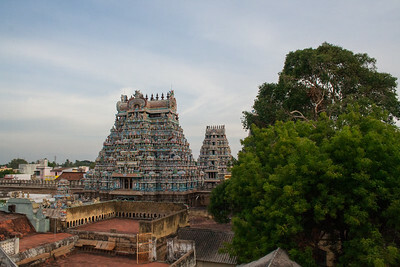 Its origins are not clear, but the temple has been mentioned in early medieval Tamil literature from the 6th to 9th centuries AD. 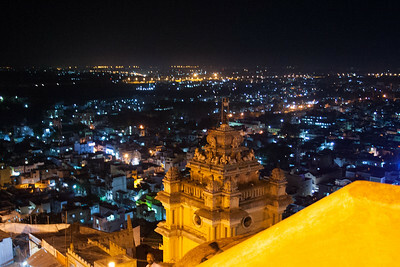 View seen from the Tiruchirapalli Rock Fort. 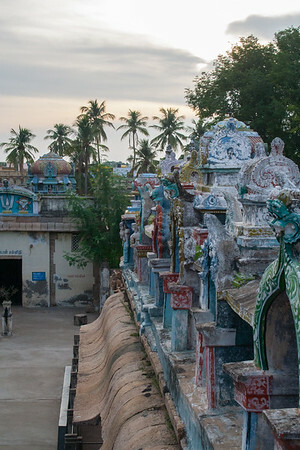 We climbed to the top of this fortress and temple complex bare-footed along steep and smoothly-worn stone steps. 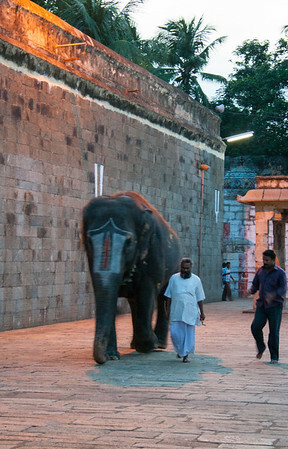 It was exhilarating! 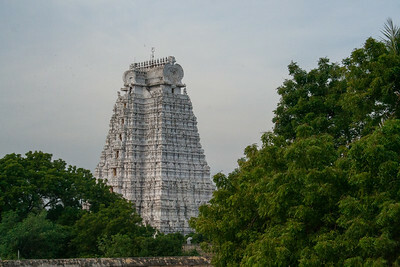 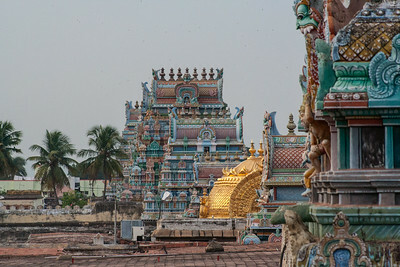 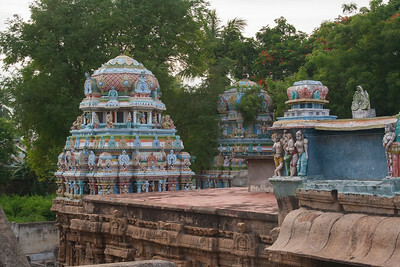 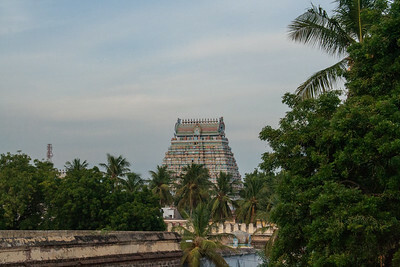 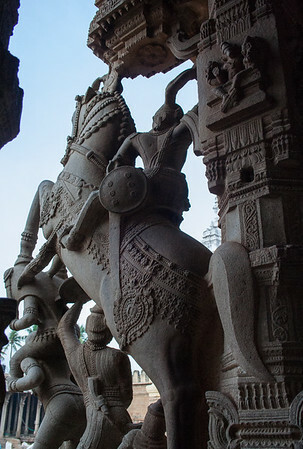 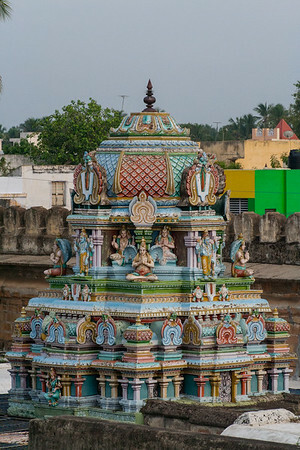 As seen from the roof of a temple structure near the inner vimanam (shrine over the sanctum sanctorum).